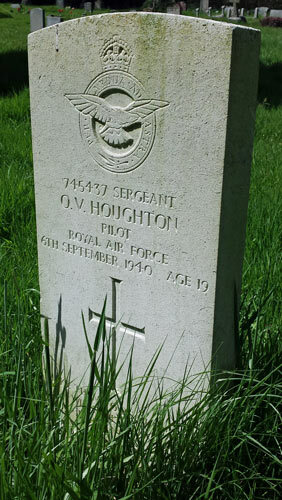 Oliver Vincent Houghton was born on 19th January 1921 at Foleshill, Coventry and worked as an Aero Fitter. He joined the Civil Air Guard in October 1938 and trained at Whitley aerodrome, Coventry before joining the RAFVR on 22nd March 1939 as an Airman u/t Pilot. Called up on 1st September 1939, he was posted to 4 ITW Bexhill on 30th October and went to 5 FTS Sealand on 9th December to complete his flying training. After converting to Hurricanes Houghton joined 615 Squadron at Kenley on 18th June 1940, moved to 32 Squadron at Biggin Hill on 10th July and then went to 501 Squadron at Kenley on 27th August. 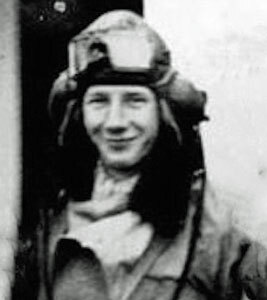 Houghton was shot down and killed in combat over Ashford on 6th September. 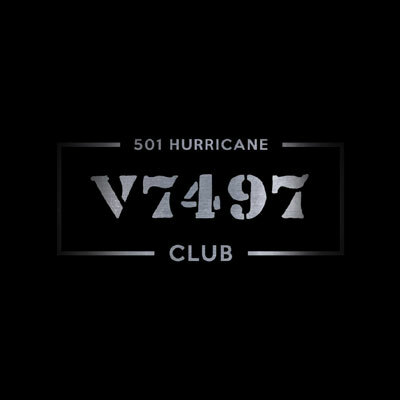 His Hurricane, V6646, crashed into Long Beech Wood, Charing, Kent.